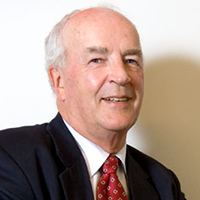 David McLauchlan joined the Victoria University of Wellington Faculty of Law in 1971 and has been Professor of Law since 1981. He is also a Professorial Fellow at the University of Melbourne, Honorary Professor at the University of Queensland, and an associate member of Stout Street Chambers in Wellington. David is the author of two books and has published many book chapters and journal articles, mainly on the law of contract and commercial law. His recent publications have focused on remedies for breach of contract and contract interpretation. He has received university awards for excellence in teaching and research.